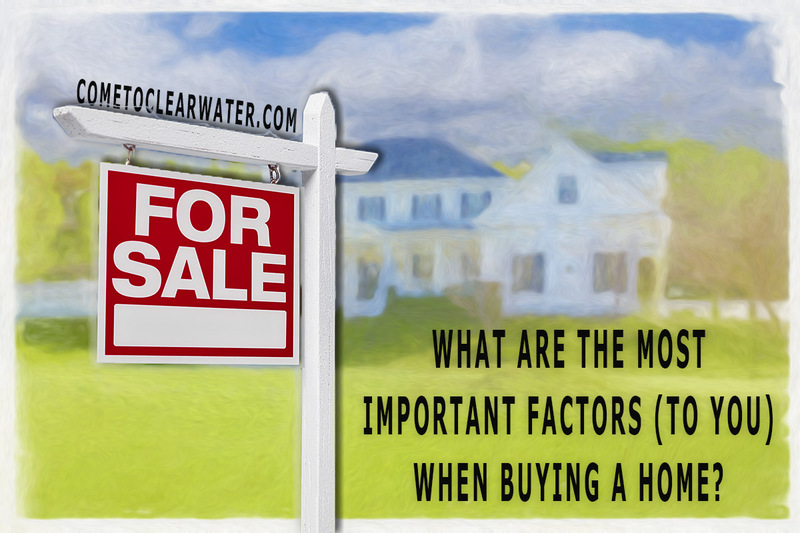 What Are The Most Important Factors (To You) When Buying A Home? 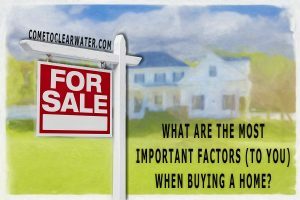 There are a lot of things to think about when buying a home, but before you even start looking the most important question is what are the most important factors to you when you are looking for a home to buy? It will help make your home search more specific to you and your wants and needs. Look at your current living space and start a list. Write down what you like about it and what you don’t. Is the space too small? Find out the square footage of living space and then you know you your starting point for bigger. Are there enough bedrooms? If not, how many more or less do you need? If your current home or apartment has a great functioning kitchen, write down what you use the most. If not, go to a home center and look at kitchen options to see what would work for you and what won’t. Just because it’s the “in” thing doesn’t mean it will be something you like or would use. Is there a big lot or no lot at all? What about how close you are to the water? Is waterfront property important or do you mind a short walk, bike ride or car ride? Is there shopping close by? What about fitness centers? Schools? All of these things are key factors for someone, but are they for you? Your answers to these will determine neighborhoods to visit and find a home or neighborhoods to avoid. Also keep things in mind like home owner’s associations! If they are important to you to keep the integrity and value of your home, look for homes in one. If they are too much of a restriction for your lifestyle, or too much more of a fee to add to your budget, look for homes that don’t have a home owner’s association. Know what you want so you can set expectations and narrow your home search.